As much as I love to cook, with life being so hectic right now I haven’t even thought of cooking. Unfortunately we have been eating a lot of sandwiches, cold cereal, and take out the last 2 weeks, but I finally took time to make dinner the other night and realized that a quick meal, effortless meal this time of year is possible. 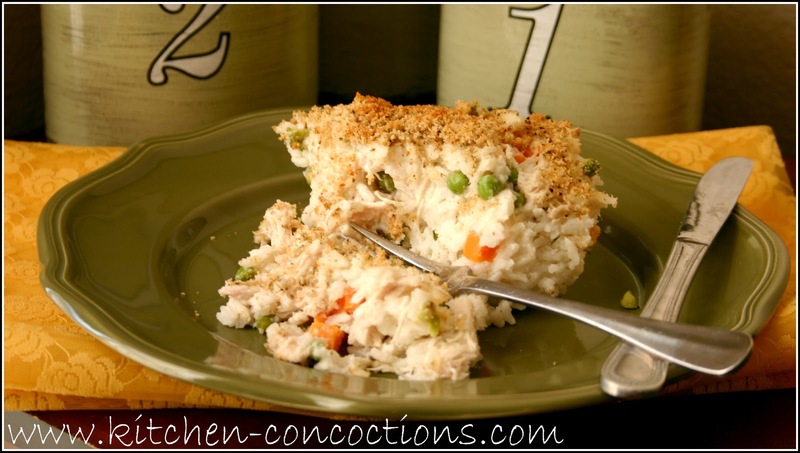 Made easy, with precooked chicken and rice (use leftovers or buy a rotisserie chicken and minute rice), bottled sauce and frozen veggies. All the work that is required is mixing and baking! My only complaint about this meal was that it was on the dry side (but full of flavor), even though I used less rice and more sauce than called. I have already doubled the amount of sauce in the recipe below based on this for my future reference and yours. Oh, and don’t worry the next three days are full of various family dinner parties full of home cooked food (can you tell I can’t wait)! Preheat oven to 350 degrees F. In large bowl combine pasta sauce and milk. 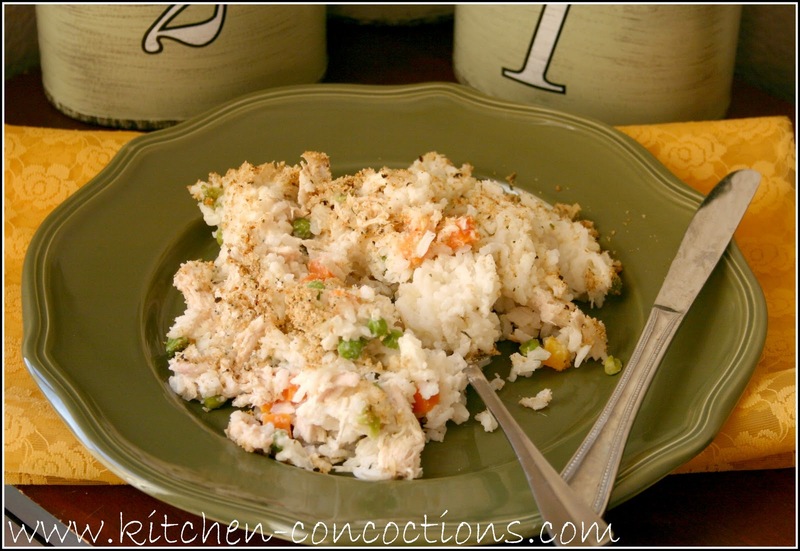 Stir in rice, chicken, vegetables and basil. Transfer to 1-1/2-quart baking dish. Bake, covered, 30 minutes. Uncover and stir. Combine bread crumbs and melted butter; sprinkle atop. Bake, uncovered, 20 to 25 minutes more or until heated through and crumbs are golden brown. Let stand 5 minutes before serving.